At WWT, we believe the best way for people to understand and connect to wetlands is to experience them, so we bring awe-inspiring nature up close. We are looking for people to join our London Wetland Centre Learning Team and contribute to this aspect of our work by assisting them in facilitating our special school visits. With around 12,000 formal learners visiting the centre each academic year, we work together to ensure that every school group has a positive experience as they explore the site. Key to this is offering an organised and friendly welcome and supporting the arrival and navigation of school groups, and enhancing the self-guided experience for school groups when they are not in a guided learning session. Your role will be to assist the Learning Team with preparatory tasks in advance of school visits, greeting and briefing school groups upon arrival, engaging learners during the self-guided portion of their visit, assisting with guided learning sessions, and to tidy up resources after schools have left. Frequency: This is variable based on peaks in school visits: Busy periods are mid-to-late Spring term (late February-April), the Summer term (May-July) and mid-Autumn term (October). A regular day of the week would be helpful, but particularly Wednesdays. Length of time: Shifts usually run from 9am – 3pm during peak periods, however it is possible you are needed for shorter periods of the day during off-peak periods. 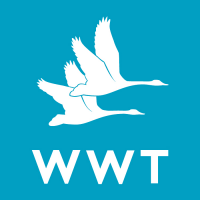 To ensure a positive volunteering experience for you and a meaningful contribution to WWT, we hope you will be able to volunteer with us for at least 6 months. Facilitating the schools leaving the site, assisting retail team with school groups in the gift shop, asking learners how their day was, and accepting returns of hired binoculars. It is also an excellent opportunity to gain a wealth of experience in an outdoor learning setting. A suitable WWT uniform is provided.